Deadline reports that Greg Berlanti, the man behind The CW‘s superhero resurgence as executive producer of The Flash, Arrow, DC’s Legends of Tomorrow, and Supergirl, is now being tapped for his next feature film project, a Little Shop of Horrors remake at Warner Bros. Pictures. Berlanti will direct the film from a script by Matthew Robinson (The Invention of Lying, In Search of Humans). Though Berlanti is primarily known as a voice in television today, he previously directed two feature films (The Broken Hearts Club: A Romantic Comedy, Life as We Know It) with additional credits being Pan, Wrath of the TItans, and Green Lantern. In Little Shop of Horrors, a lonely and miserable shopkeep named Seymour finds a mysterious plant that only grows by consuming blood. As it grows, Seymour begins to find even more success and opportunities but the plant’s hunger begins to grow as well. The 1986 feature film was directed by Frank Oz and starred Rick Moranis, Ellen Greene, and Steve Martin with a special cameo by Bill Murray. 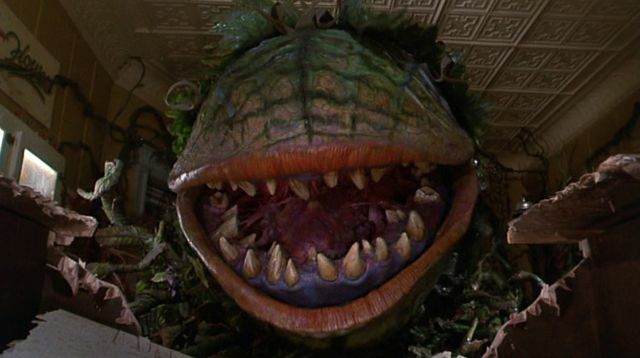 The film is notable for its practical effects of the giant man-eating plant which landed it an Academy Award nomination for Best Visual Effects. The feature also landed a Best Original Song nomination for a new tune written by the creators of the off-Broadway musical, Alan Menken and Howard Ashman. The musiclal itself was in turn based on the 1960 Roger Corman film that marked the feature film debut of Jack Nicholson. A short-lived animated series based on the property was also released in the early ’90s.